Podcasts are a great way to educate yourself. Whether you’re on the train, in the car, at your desk, or anywhere in between, this medium is an incredible vehicle to supplement your industry knowledge. Every week, I’ll be sharing with you some of the best marketing podcast episodes you can find, spanning the entirety of the marketing landscape. Not sure if you’ve heard, but headlines are super important in today’s crowded marketplace. Oh, you have heard? Great! Awesome, because according to Sonia Simone, Rainmaker Digital’s Chief Content Officer, headlines are the best change you can make in order to see an immediate uptick in your content’s performance. Takeaway: Headlines matter more today than perhaps they ever have. Think about the volume of content that you see every day. It’s quite likely that you’ll share or react to something in your inbox or your social timelines simply because the headline drove you to take action. Sonia encourages us to work backward when composing content, meaning we should start with the headline and write the material in order to serve what it’s selling. 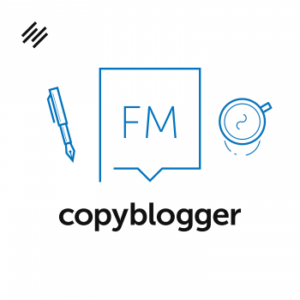 “A headline is promise that this piece of content is going to be worth the audience’s time and attention.” I love this line from Sonia via Brian Clark, founder of Copyblogger, as it sets the tone for the rest of the episode. I could listen to Sonia all day, and I will absolutely be listening to more of her stuff—she hooked me, and now I’m a subscriber! We are swimming in a world of content, and the pool is overflowing. It’s so full that even the Content Marketing Institute is advocating that we slow down on our content production. In this episode, Michele Linn, VP of Content for the Content Marketing Institute, talks with hosts Randy Frisch (CMO of Uberflip) and Tyler Lessard (CMO of Vidyard) about how taking a step back allows business leaders to get a better view of how effective their content strategy actually is. Takeaways: Being different is a good thing! Don’t just do something in content marketing because your competition does it or you think that’s the way it’s supposed to be done. If you want your content to move and have a true impact on people, you’ll need to find the niche your business can cover and help the people in that underserved population in unique ways. Speakers, authors, and amateur comedians Mark Schaefer and Tom Webster make their second appearance on the Worth A Listen list—and with good reason. 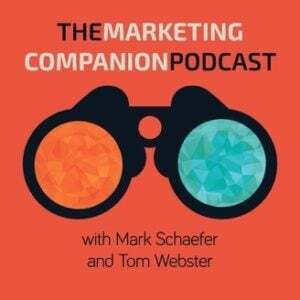 A few weeks ago, Mark and Tom discussed Tom’s brand-new talk he debuted at Content Marketing World around how marketers need to quit being lazy when it comes to understanding their customer. 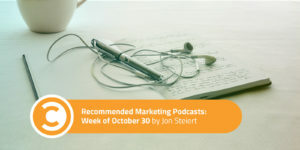 The meat of the podcast begins about halfway through the show, as Tom launches into the discrepancies between what modern marketing dashboards lead us to believe the world is versus what reality is. Takeaways: By far, the part that caused me to sink even deeper into the episode was when Tom Webster let this gem of a quote rip: “Personas are shortcuts for work you didn’t do.” Now granted, there are times when audience data is unavailable or incomplete, or we’re painting an overall picture of who we know is in our audience and we need to make our best-educated guess. 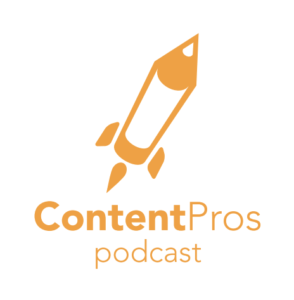 In this case, however, Tom (Vice President of Strategy and Marketing for Edison Research) is challenging all of us to be better when it comes knowing who we are truly trying to help, much like Michele Linn shared in the Content Pros podcast. Understanding our audience allows us to better empathize with their hopes, challenges, behaviors, and needs in a way that spreadsheets often keep from us. It’s an incredibly sobering lesson for all of us and will hopefully encourage us to become the better professionals we know we can be. That’s all for this edition! I’ll be back with a new batch next week. In the meantime, share any podcasts you think I should know about with me at @jwsteiert on Twitter or in the comments below!